There are times when one wants to use different colours on different occasions. Here you have a combination of 5 different colours to be worn on different occasions. Additionally each pair can be worn upto one week each with cost of each pair a tad low of Rs. 63. Cannot be a better option to buy cheap cosmetic lenses with or without power/prescription. The user can now highlight the eyes as you like it. There is a variety of colours such as blue hazel brown grey and green. 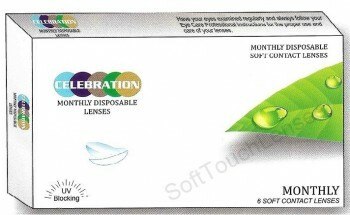 Buying online cosmetic contact lenses could not have been easier than this. With power availability upto -8.0 its a great opportunity to buy coloured lenses"